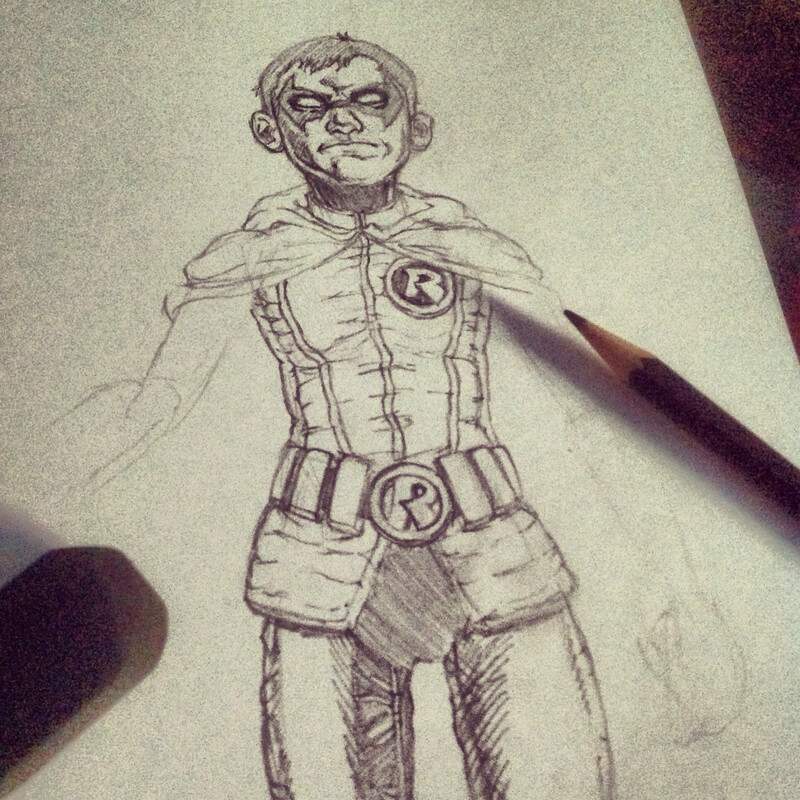 More DC fan art coming your way! 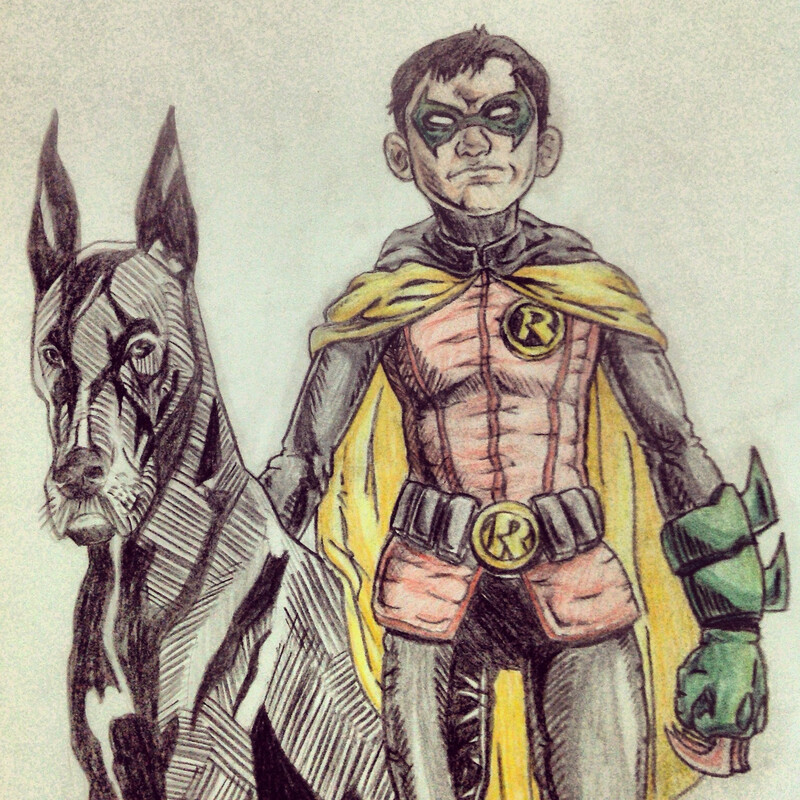 This one’s Damian Wayne (Batman’s son and the latest Robin until his unfortunate death) and his dog, Titus! 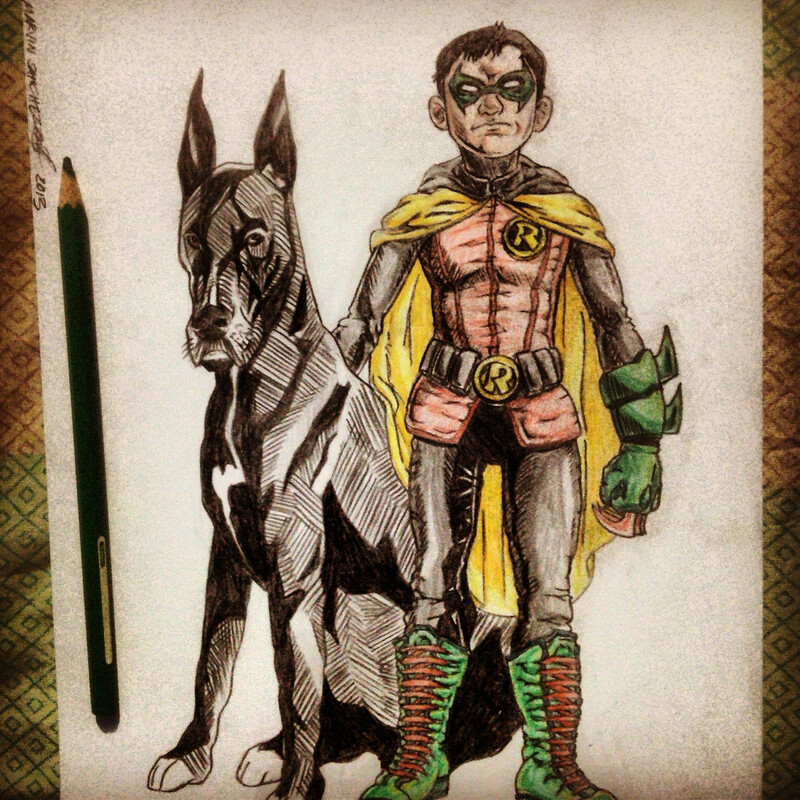 I’m a big fan of Damian because of his character’s cool mix of angst and loyalty to his father. He’s also an extremely skilled fighter and tactician having been trained both by Batman and the League of Assassins as the son of Talia al Ghul. I used a number of references for this one but mostly I took from Patrick Gleason’s art because I love his version of Damian the most. It was actually harder to draw the Great Dane Titus as I’m not used to drawing animals though I really plan to get better in that area. 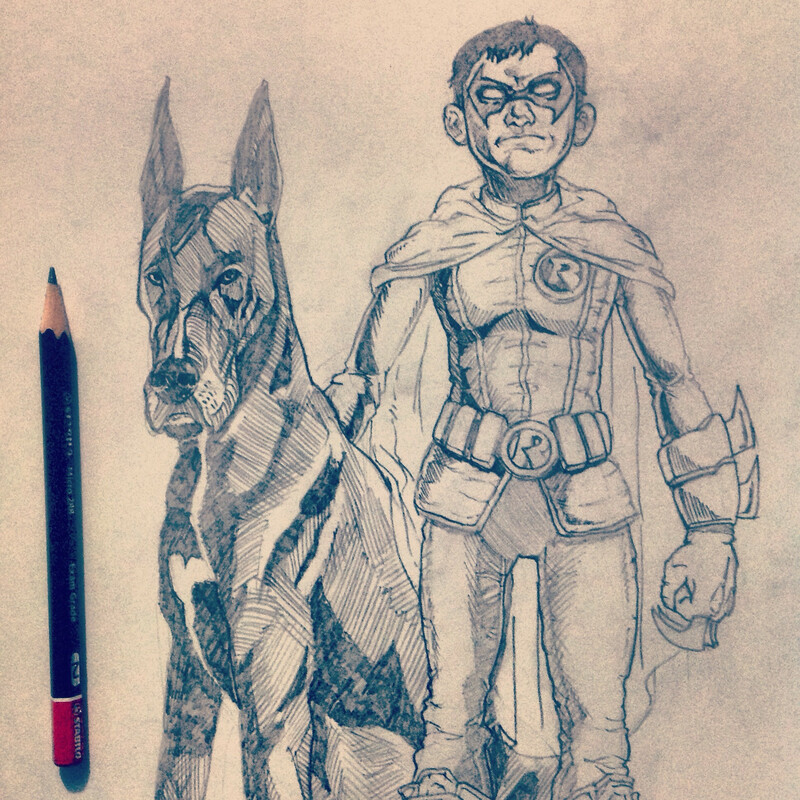 We rescue great danes….wonderful dogs…I love your rendering!